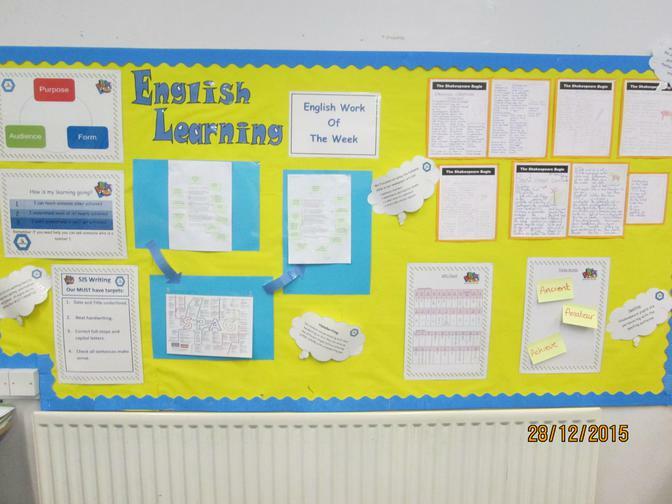 As well as reading and writing, English also involves the development of speaking and listening skills. 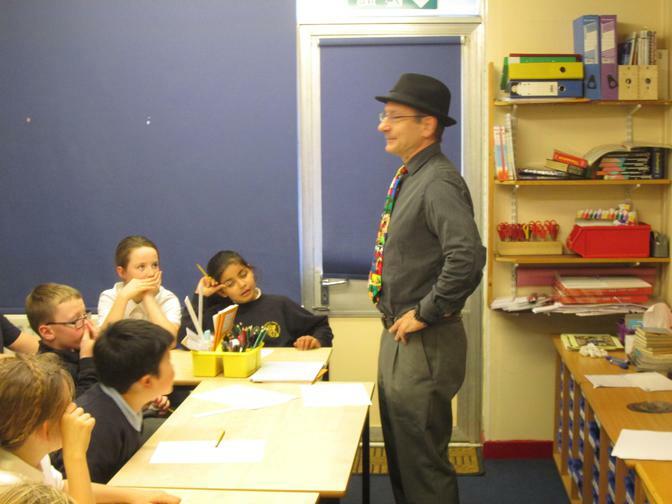 At Shakespeare Junior School, we use a variety of approaches to teaching English. Children may work individually, in pairs or in small groups; where possible, the work is linked to other areas of the curriculum, such as Topic, Science, RE or DT. Speaking and listening are vital for all aspects of learning. We want to give children the confidence to express themselves clearly and encourage dialogue and discussion across the curriculum. We aim to produce fluent, independent readers with a love of reading. Emergent readers are taught to decode words using a range of appropriate strategies. 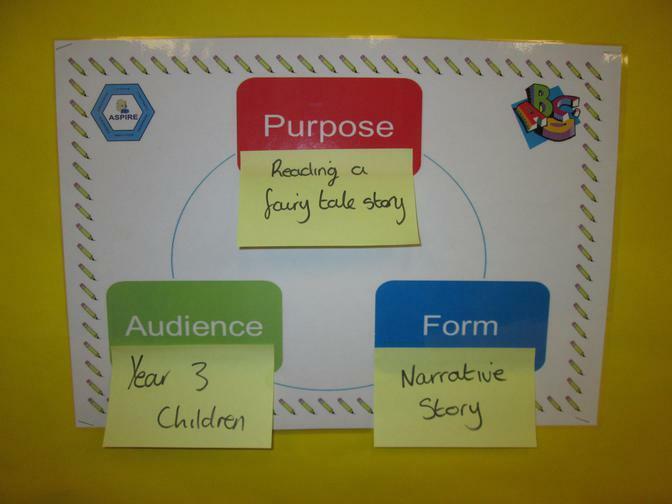 As the children become more fluent and independent, they are encouraged to think about plot structure and characterisation, using inference and deduction. Our well-stocked library provides pupils with a wide range of reading material including some magazines and newspapers as well as fiction and non-fiction books. 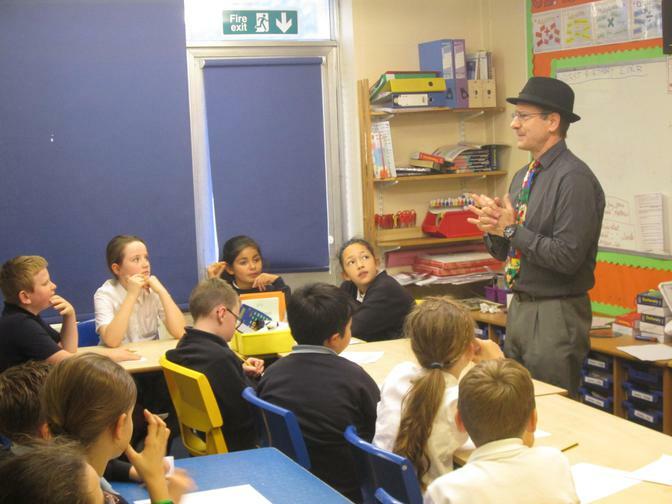 Children at Shakespeare Junior School are taught to write in a range of styles, both fiction and non-fiction. We use the work of established writers and contemporary non-fiction to analyse the features of each writing style and create a ‘learning journey’ for the range of style taught. 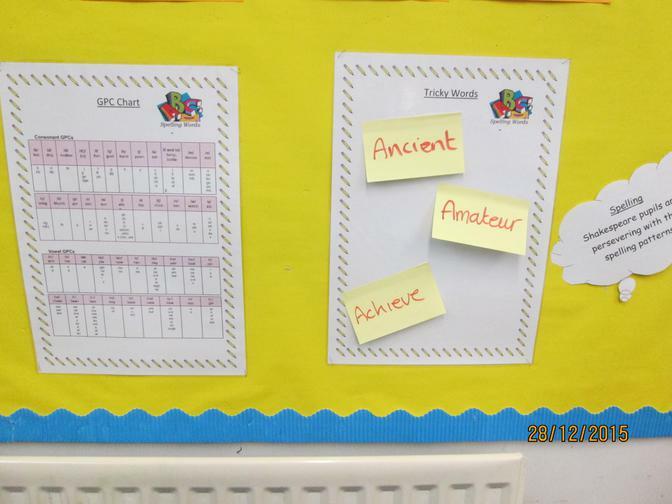 Children are taught spelling rules which they are then encouraged to apply to their writing across the curriculum. 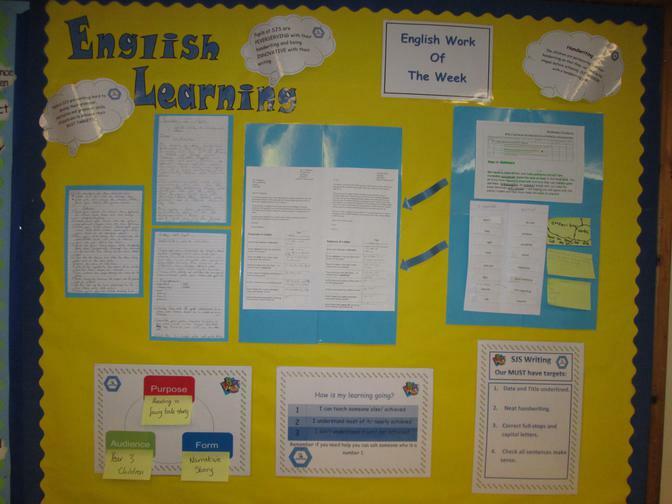 While much of this is taught within a specific English lesson every day, we also recognise that pupils can develop literacy skills while they learn about other subjects in the curriculum. 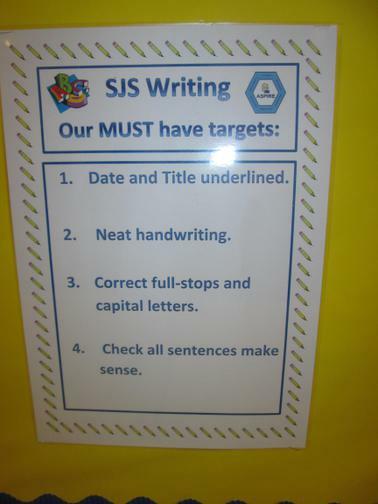 At the beginning and end of every lesson the children are given to a chance to discuss and evaluate their writing based on their targets (see marking). 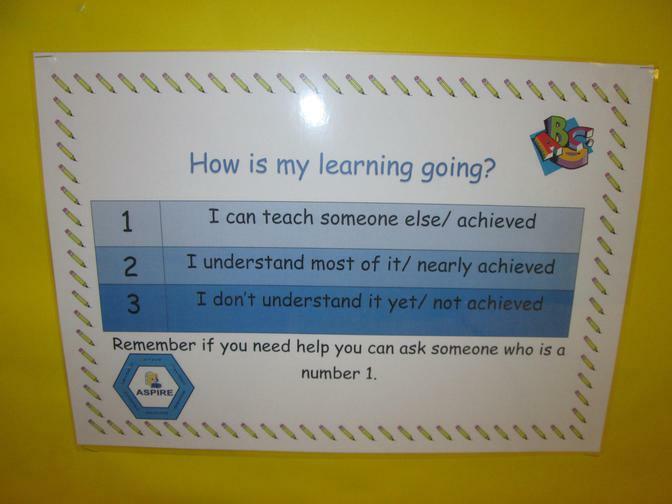 This deepens their thinking and develops them as independent leaners. The children can now access 250 free ebooks from Oxford Owl and thought we would share it with you. Click on the link below and then click on 'my class login' followed by the username and password. Our aim is to promote reading in a variety of ways and we hope the children will enjoy the ebooks at home. Through reading your child will develop their imagination, knowledge and improve their writing skills. 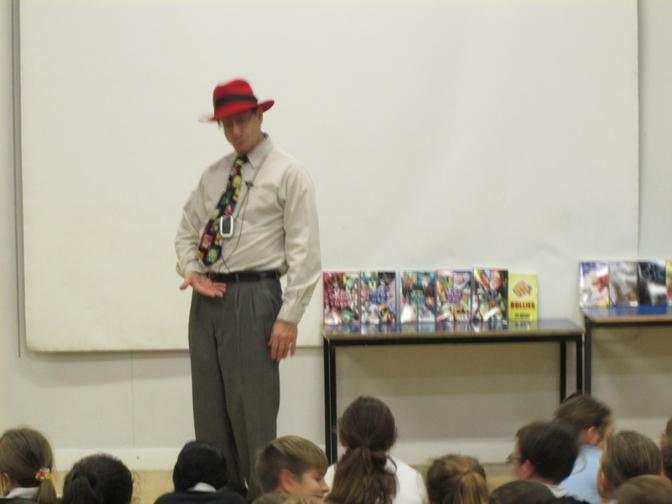 Ed Wicke visited our school. 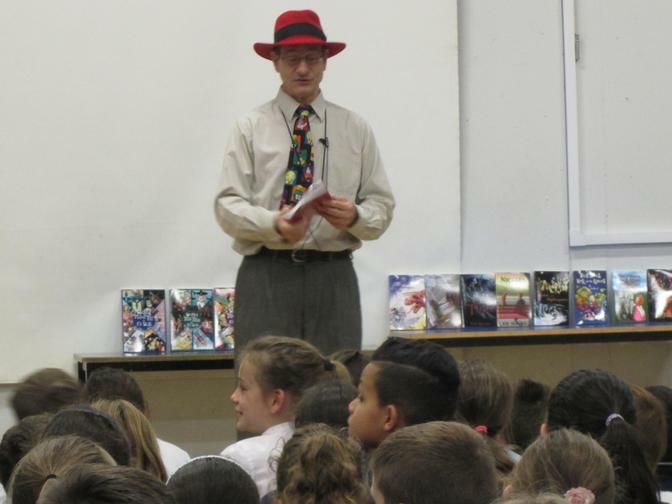 He shared his funny stories with the year groups and did creative workshops with the pupils.